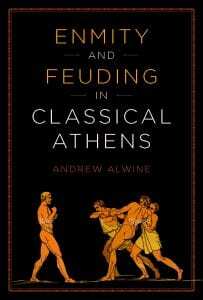 Enmity and Feuding in Classical Athens is a long-overdue analysis of the competitive power dynamics of Athenian honor and the potential problems these feuds created for democracies. The citizens of Athens believed that harming one’s enemy was an acceptable practice and even the duty of every honorable citizen. They sought public wins over their rivals, making enmity a critical element in struggles for honor and standing, while simultaneously recognizing the threat that personal enmity posed to the community. Andrew Alwine works to understand how Athenians addressed this threat by looking at the extant work of Attic orators. Their speeches served as the intersection between private vengeance and public sanction of illegal behavior, allowing citizens to engage in feuds within established parameters. This mediation helped support Athenian democracy and provided the social underpinning to allow it to function in conjunction with Greek notions of personal honor. Alwine provides a framework for understanding key issues in the history of democracy, such as the relationship between private and public realms, the development of equality and the rule of law, and the establishing of individual political rights. Serving also as a nuanced introduction to the works of the Attic orators, Enmity and Feuding in Classical Athens is an indispensable addition to scholarship on Athens. The School of Languages, Cultures and World Affairs hosted the 65th Annual Mountain Interstate Foreign Language Conference on October 15-17 at the Charleston Marriott. Over 250 participants presented their research, collaborated on academic panels and chaired sessions during the 3-day event. Grave of ‘Griffin Warrior’ Uncovered at Pylos! Dr. Allison Sterrett-Krause invites students — no experience necessary — to assist her in working on Roman glass excavated in Carthage. Lay your hands on the past! We are fortunate to have a working glass lab with artifacts to catalogue and assemble. 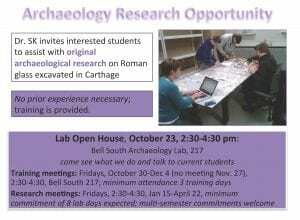 Come see what we do and talk to Dr. Sterrett-Krause and the students currently working in the Lab. 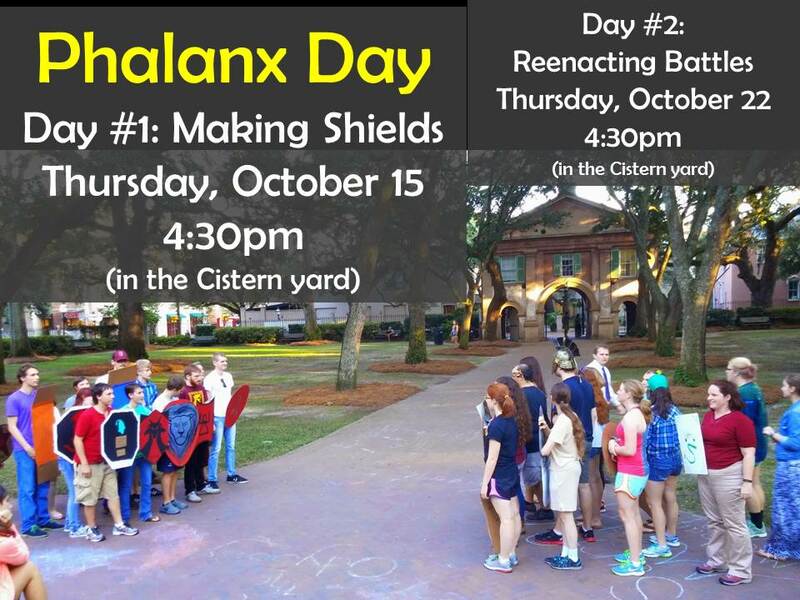 Come join the Classics Club for Phalanx Days in the Cistern Yard: Thursday, Oct. 15 and Thursday, Oct. 22 at 4:30 PM. Make your own Greek shield and re-enact the phalanx, the battle formation that defeated the mighty Persian empire. Professor Joseph R. Weyers presented his study “Cross-national advertising in Spanish: Forms of address in commercial signage in the US & Mexico” at the International Network of Address Research Conference at Texas A&M University, College Station, TX, on October 9, 2015. This weekend, two CofC German professors presented on the research at the Annual German Studies Association Conference in Arlington, VA.
Dr. Nancy Nenno presented on her work at the GSA Seminar “Political Activism in the Black European Diaspora: From Theory to Praxis.” Her paper explores the role that public memorials play in the political activism of Black Germans and Austrians by juxtaposing the establishment and role in public discourse of memorials to Black individuals. The fall 2015 edition of the American Association of Teachers of Spanish & Portuguese’s Portuguese Newsletter is available at http://c.ymcdn.com/sites/www.aatsp.org/resource/resmgr/pn/pnl_2015_fall.pdf, edited by Dr. Luci Moreira.